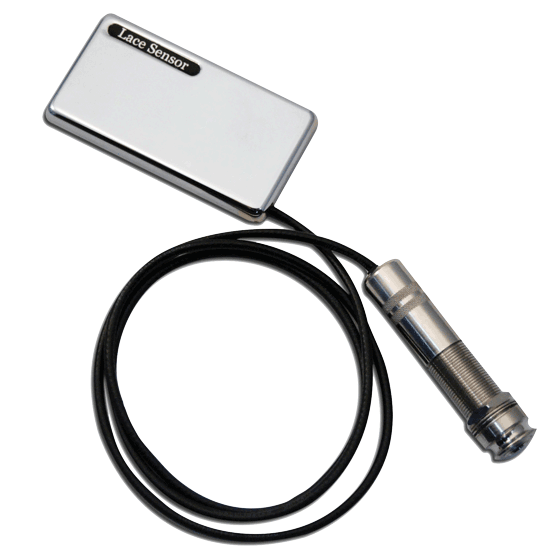 The Lace USA (Ultra-Slim Acoustic) Acoustic Guitar Pickup features an extreme low profile (.275″ tall) for all resonator applications. Featuring Duo-coil design, the Lace Sensor USA (Ultra-Slim Acoustic) Acoustic humbucker is the slimmest pickup available today. Resonator players can now enjoy a more balanced and quiet operating sense without any interference from higher profile pickups. A non-marring adhesive tape keeps the USA sensor in place. The additional features include a high quality cable with a Switchcraft brand 1/4″ female jack. The jack also allows the player to have the USA Ultra Slim Sensor permanently installed.